Today, we begin the process of launching our biggest software update ever for Hoop.la (as well as for UBB Forum and QuestionShark), as we kickoff a beta period for Version 2.0, which centers around making the entire application "responsive". For our current customers, you will not see your sites updated to 2.0 for another 4-8 weeks, but we have put copies of all of your sites on a BETA server so that you can begin kicking the tires and, more importantly, creating new themes, updating your headers and footers to make sure they too are responsive, and also making all of your custom widgets and custom pages responsive, as well. We will be contacting each of you individually about that over the course of the next week. Responsive Design: Say goodbye to a separate "mobile site" that was missing features and looked nothing like your main site, and say hello to responsive goodness where the interface automatically adjusts to each user's device, with no loss in features. We are using Foundation as our responsive design framework. Revised Theme Editor: The theme editor is completely revised, giving you more control over specific user interface elements. And the CSS for all pages is also vastly improved so you have more fine-grained control over every element on each page. Navigation Menu: With responsive design, the navigation has to be much more flexible, and as result your site nav menu is automatically adaptive. On large "grids" (a responsive design term for describing larger/wider screen resolutions), like laptops and computer screens, a full-width nav menu will appear. On medium and small grids, the top nav will be replaced with "off canvas" menus that can be triggered from the left and right side of the browser on demand. You can also control the positioning, size, and fixed nature of the large grid menu. Breadcrumbs: Breadcrumbs are now consistently used throughout the application to allow the user to easily navigate back within the site. Icons: Font icons have replaced nearly every image icon. This allows you to easily stylize your icons to match your site design. (You can change font colors in your theme.) The few image icons that remain can be customized via Display Settings. Note that we no longer support icon sets, as a result of this change. Title Images: Version 2.0 enables much more visual content. 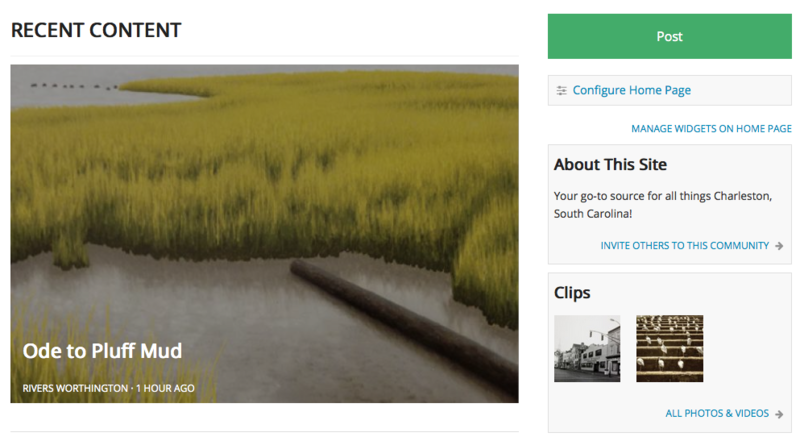 Title images are now supported for blog posts, audio clips, and file clips. Custom Extracts For Blogs: You can create a custom extract for blog posts. New Display Modes for Blogs and Clips: Admins can choose between a "standard" view and an "image-centric" mode for Blog and Clip lists. When in image-centric mode, titles are displayed on top of title images. Video and Audio Download Option: Hoop.la now supports downloading video and audio files (excluding clips embedded from 3rd party sources like YouTube), There is a new user permission that controls whether who can download video/audio. Widget Enhancements: Widgets have been greatly improved. The management of widgets on a particular page is simplified and there is a brand new Manage Widgets control panel, used for managing your custom widgets and embedded widgets (widgets embedded on outside sites). You can now create an embeddable widget in your control panel without having to display it somewhere on your site, as well. The "View All" links at the bottom of widgets have also been made more accurate, to reflect the parameters of the specific widget. Home Page Enhancements: The home page is now two columns only, to match the layout of the other pages on the site. The wide, left-side column is reserved for a new item- Content Blocks. You can manage the Content Blocks on your Home Page via your Home Page control panel. Available blocks include the all new Content Stream block, which displays recent content from across all of your content modules. Activity Stream Enhancements: The activity stream can now been segmented into these sections: content, comments or actions (or of course you can view the entire activity stream). Tabs give users control over how they want to view the activity stream. Improved Permissions Management: We've completely revamped the permissions control panel used by Super Admins. Now it is much easier to see how permissions are being applied on your site. Printer-Friendly: All pages are now automatically printer-friendly. Comment Sorting Options: You can now sort comments and replies in the following ways: ascending, descending, and popularity. Customizable Group Header: For groups, you can now customize the header completely or you can use the standard header and choose from displaying the group logo or the site logo. Member Profile Refreshed: The member profile page has been completely overhauled, featuring a larger user avatar, tabs for browsing information about the user, admin-set widgets, and more. Custom Page Enhancements: If you choose to wrap a custom page in the standard page shell, the standard right-side widget column will be available for you to use. Widgets are unique per custom page. In addition, you can set your own custom CSS and HEAD code. Admin Control Panel Changes: The admin control panel pages have been re-organized so it is easier to find what you are looking for. In addition, the admin control panel pages use a stock theme (not your theme) so it is more evident that you are in the control panel and so that you cannot "break" the display of the control panel pages if you do something wrong in your theme or settings. Improved Chat Interface: Chat rooms/events are responsive and now allow access all elements of a chat (chat pane, roster, moderation queue) on all devices. Dialogs Are Now "Private Messages": we've renamed dialogs so it is clearer what they are. Wide Calendar Grid: when viewing the calendar on a large screen, a much wider, improved calendar grid is displayed. Page View Counts Available: each content module now has an option to display page views on each content page. There are many other changes in 2.0, and every single interface was redesigned in this release, with the goal of providing a responsive, intuitive interface that any user can understand. The underlying HTML/CSS is also much more consistent and understandable, so that designers can have pixel-level control over the interface. As a reminder, if you are an existing customer, you will receive an email sometime within the next week about your particular BETA site (which is a copy of your actual site). We'll be contacting customers in batches, so not everyone will be notified at the same time. Your live site will continue to run on the 1.0 code base until we do the official rollout (sometime in the next 4-8 weeks). Finally, if you are accessing a beta site, keep in mind that the code is definitely still in beta. There are some features we are still finishing up and of course there are bugs that are being worked through. Ted, do we report feedback about the beta site here or in a separate post?